I'm going to keep this post short and sweet! After a long cold winter, it's incredibly nice to have vibrant spring blooms and warmer weather, but my allergies are really bad this week. Instead of having a little pity party for myself, I'm going to focus this week's linky party! This is an all new edition of the Kid's Co-op. I hope you find some inspiration for the week ahead! If you try any of these ideas, leave me a comment and let me know how it went! The Croods are coming to Lowe's! 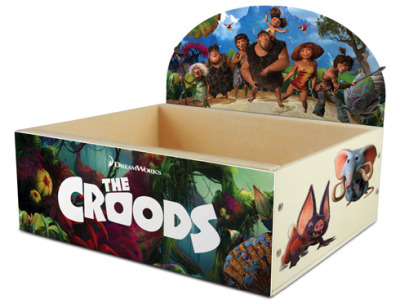 Your child will have a chance to build their very own Crood's planter and decorate it with their favorite creatures and characters from this new movie. *See Lowe's website for additional details about their free kid clinic. Fun for Kids Friday * All New Crafts, Recipes Activities and More! Feel free to browse all of the creative ideas and if you have one to add, just link it up! 1. Link directly to your best kid crafts, activities, kid related projects or family friendly recipes. Please no giveaways. Fun for Kids Friday * Kid Crafts, Activities, Recipes and More! Doesn't this Cinnamon Pull Apart Bread by EveryDay Art look so delicious? Check out her Biodegradable Binoculars here. Thanks again to everyone who participated in Fun for Kids Friday. And, hop on over to Smile Monsters blog to check out her favorite's here. Can't wait to see you all again this week! I love how children believe they can do anything they set their minds to. Their imaginations run wild as they explore. An empty brown box can become a race car. A plastic fireman helmet can instantly turn a boy into a firefighter. And, an area rug can become a stage for America's best little dancer. No matter how many temper tantrums you deal with during the day it's moments like these that make it all worth it. For me, it's one of the best parts of parenthood, because my kids love letting me into their imaginary worlds. One day I am the drummer in the marching band. The next day, I am helping them build a Leprechaun Trap. For me, this is what being a parent is all about. even if the chances of catching a Leprechaun are pretty darn slim. If you want to do a kid's craft for an INDOOR leprechaun trap you should read my other post here. 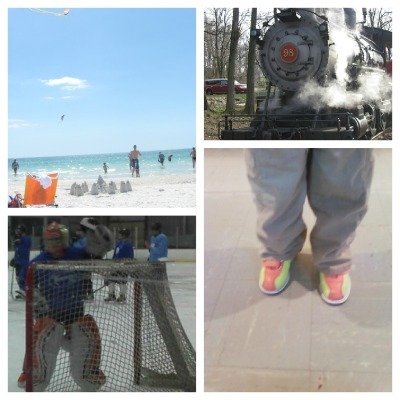 This past week, there have been so many great blog posts from 'Local Fun' Moms. Here are some that I wanted to share. Enjoy!